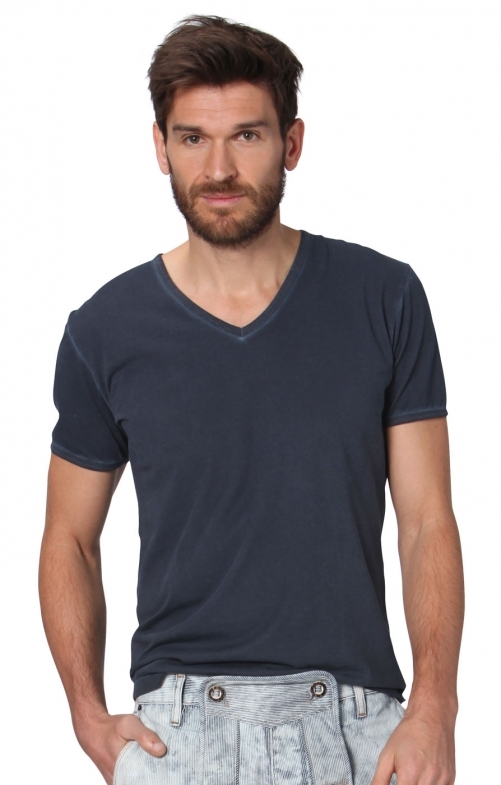 Basic V-neck tee in anthracite. This slightly aged, flattering T-shirt is an understated piece that should qualify to be part of your festival wardrobe for its looks alone. Add the pure cotton make to its list of qualities, and don’t hesitate to pair it with some white-washed Cash blue-vintage jeans this summer. When it comes to style, this tee couldn’t be any simpler or more fashionable. A shallow V-neckline at the front, a regular cut at the back, an appliqué on the right side of the waistline and an elasticated short sleeve. All the seams are slightly white-washed for a look just a tad shabby.